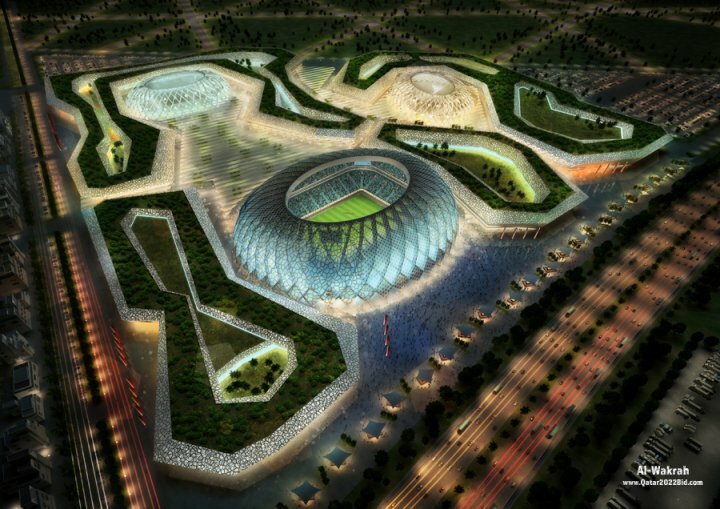 Qatar has unveiled the first 5 stadium designs for its 2022 World Cup bid. The stadia look spectacular and would grace any World Cup. Given Sepp Blatter’s recent comments about how the Arab world ‘deserves a World Cup’ Qatar’s supporters may well be quietly confident. 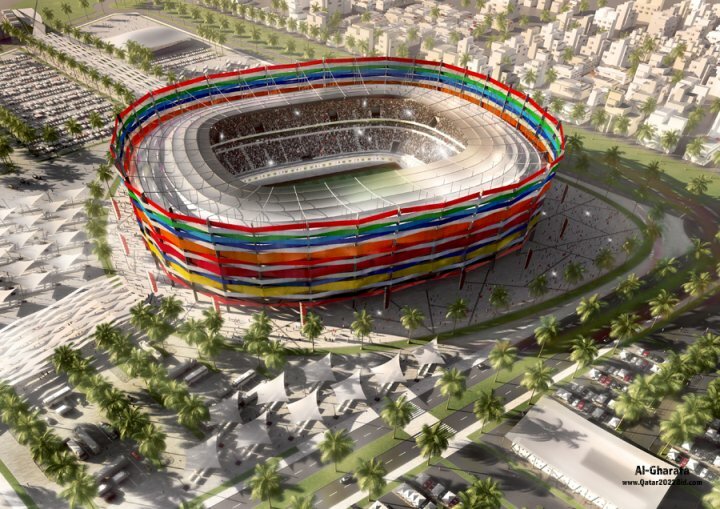 Assessing Qatar’s chance of being awarded the World Cup is exceedingly difficult. They clearly have the money to overcome any problems. An Arab world World Cup is also a popular idea among influential people at the top of the game. Qatar have played a shrewd game so far seeking to sew up votes in important voting confederation. They have attracted very popular Ambassadors such as Frank De Boer and notably Pep Guardiola, Bareclona’s legendary player and manager. Yet, conversely, there are crushingly serious issues to overcome. Specifically, the World Cup must be held in July, a bakingly hot and muggy time of the year in Qatar. Yes, Qatar can and will throw money at this by seeking to air condition stadia or some such solution, but then run seriously afoul of green issues by – essentially – pumping out cold air into the desert. 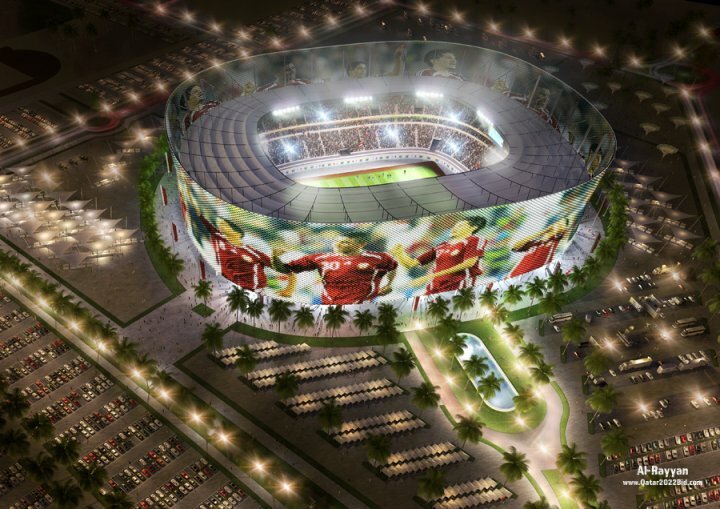 Also, Qatar’s profound lack of suitable stadia or practice pitches (64 of them, which all need to be air-conditioned) at the moment will worry judges: plans are one thing, concrete, completed, spectacular stadia another. Moreover, there are some exceedingly strong bids from countries such as England, Russia, Spain and Portugal and America. The Scottish National Party has lost its bid to hijack the last leader’s debate later on this week due to be hosted by the BBC. The SNP had taken the BBC to court to either try to force the inclusion of Alex Salmond, the SNP leader, in the debate or force the BBC to cut off the signal to Scotland. The notion that Salmond would be have a podium next to Brown, Clegg and Cameron is laughable. The SNP have only 7 seats in Westminster, only contest 10% of all seats in the UK and Salmond cannot become Prime Minister, yet wanted to join in. The idea that the SNP would cut off the BBC signal to Scotland is scarcely less ridiculous. Salmond seemingly wanted to take after his Stalin supporting father and decree what people can and cannot see. Choice…democracy…anyone? Also cutting off the BBC to Scotland cannot be done without cutting the feed for tens of thousands of people in the north of England and Northern Ireland too. But then again, one has to break a few eggs to make an omelet. The judge, however, quickly threw out their case which cost the SNP £50,000 to bring to court. I’m sure that there’s nothing better to spend that cash on in Scotland. Yet this is an idea and a policy in keeping with the SNP. They want to get rid of the Trident Nuclear Submarine base in Faslane. No problem, but that will instantly remove 11,000 jobs from the economy overnight. But that doesn’t matter because Salmond wants to base Scotland’s future economy on four factors. Joining Europe, using oil reserves, using their banking industry and following the example of other small countries. A few problems leap to mind here. Yes, eventually Scotland would probably be admitted to the EU. But first certain nations such as Spain need to vote them in. This cannot be done overnight. And does anyone think the Madrid wants to vote on EU accession for a separatist chunk of a European neighbour with their unresolved Basque issues? Furthermore, the EU is large these days. It’s not like Scotland could look to Ireland’s example who benefited hugely from EU membership: there is simply not enough money there to go around and what is there will surely go further East where it is needed more. Lastly, the Rectors/Principals of Scotland’s three best Universities, have, I believe, come out unanimously against Scottish Independence, realising that it would be disastrous for their coffers. Banking on the Bank and the Royal Bank of Scotland might have made some sense a few years ago but now they’re all but destroyed. Similarly, a few years ago Scotland could perhaps have followed the example of Iceland…today? Not so much. Posted by thegulfblog.com in Israeli-Palestinian Conflict, UK. 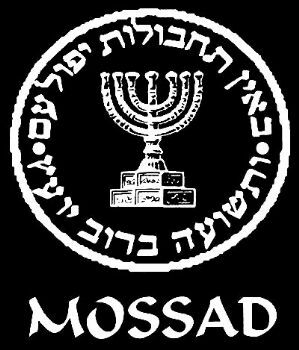 Israel’s Knesset committed its second serious breach of national security in a year after posting a list of senior Shin Bet and Mossad agents on its website. Similarly, last year they posted information pertaining to Israel’s defense related technology. This is quite the faux pas for a country with one of the most vaunted intelligence services in the world. Curiously enough, literally minutes before I read this (via the Mideasti blog) I stumbled upon a list of 100+ MI6 agents throughout the world, their postings, ranks and diplomatic placement history. Clearly, the internet is a bad thing and should be banned. 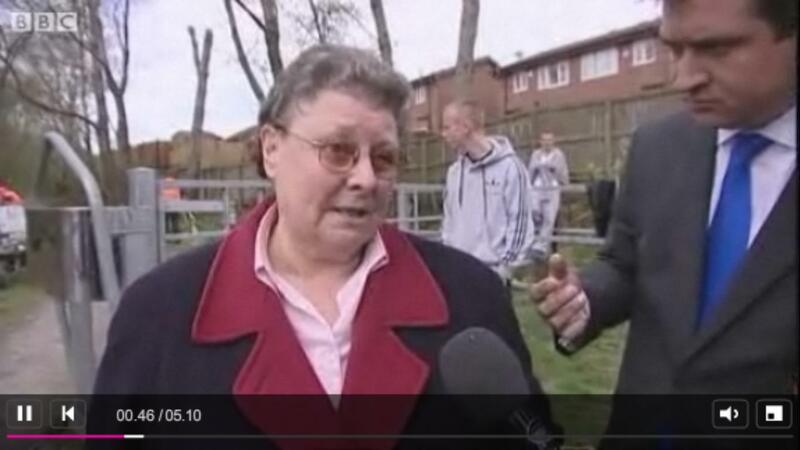 Gordon Brown was caught calling a voter that he just talked to ‘a bigoted woman‘. He did not realise that he still had the Sky News microphone on. He also said that the ‘whole thing’ was ‘a disaster’ and that he ‘should never have been put with her’. So far I have not heard the original conversation but whilst I am not Brown supporter, I do imagine that he called it as he saw it, that he believed that she was bigoted. It is somewhat annoying, therefore, that he is genuflecting and apologizing over this incident. Have some ba! !s and stick with your opinions, I feel like shouting at the dour Scotsman. Even for political reasons, it’s not as if saying something to that effect could possible make things worse for him in the polls; he’s already on his way to an absolute trouncing.